The Bobber's back in black and more menacing than ever. The Costa del Sol: Always Warm. These are the reassuring words that greet anyone who happens to be browsing the Malaga, Spain, tourist board website for tips on what clothing to pack for a trip in the middle of December. 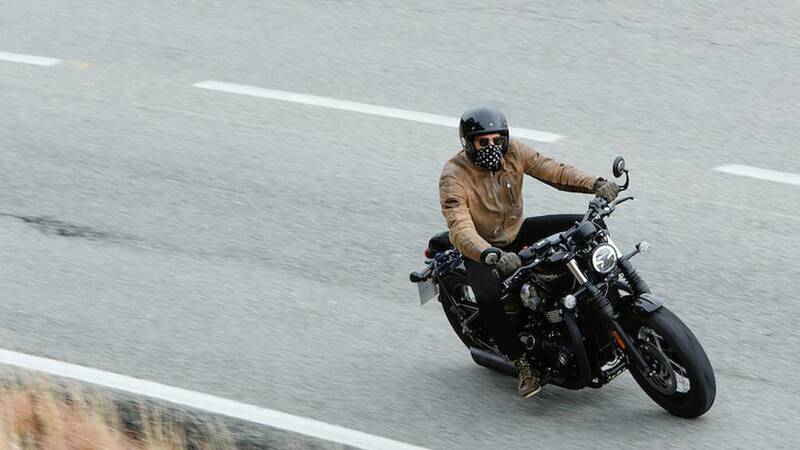 But perched atop Triumph's menacing new Bonneville Bobber Black as the famous Ronda Road snakes its way to ear-popping altitudes, I beg to differ. In fact, my frozen face and fingers feel like opening a lawsuit against the typically sunny Spanish region for false advertising. 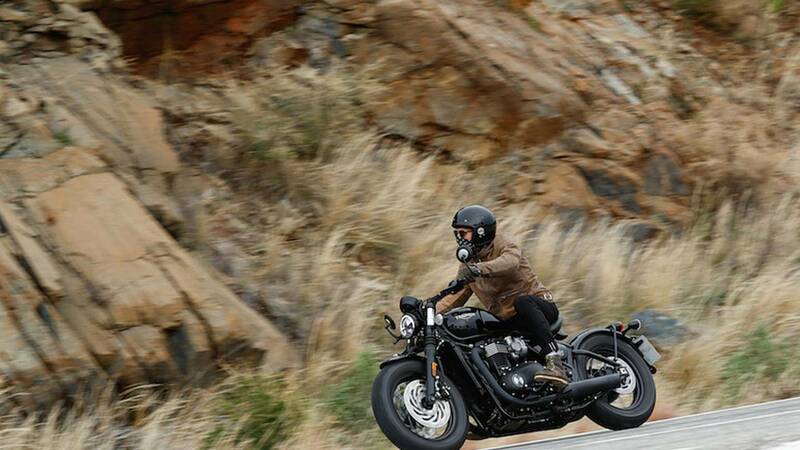 In a miraculous move, Triumph's marketing team has managed to organize skies almost as shadowy and aggressive as the latest variant of its hugely successful Bobber, with a large chunk of the riding day put on hold due to rain. However, it failed to dampen the spirits of this particular crew of hardy bike journos, most of which had traipsed through snow in the United Kingdom to get to the airport. In fact, we were all itching to find out whether a smaller front wheel (16 inches, down from the 19 inches of the standard Bonneville Bobber), beefier front forks, and chunkier 130/90 Avon rubber would have an adverse effect on the entertaining handling of the original. There was also the matter of twin 310mm Brembo discs up front to scrutinize, and a new "one-push" cruise control system. Thankfully, the distinctive noire makeover was easy to admire, as Triumph had handily parked a Bobber Black in the lobby of the hotel we spent a lot of time standing in, praying for the rain to pass. Black by name, black by nature, this latest Bonnie iteration wears moody paint on almost every surface, with either Jet Black or Matt Jet Black (the latter is a slightly more expensive option) covering most of the parts that dazzle in chrome on the standard bike. Black wheel hubs, a black engine casing, black "slash cut" silencers, black anodized brake pedal and footrests, and black gear linkage. 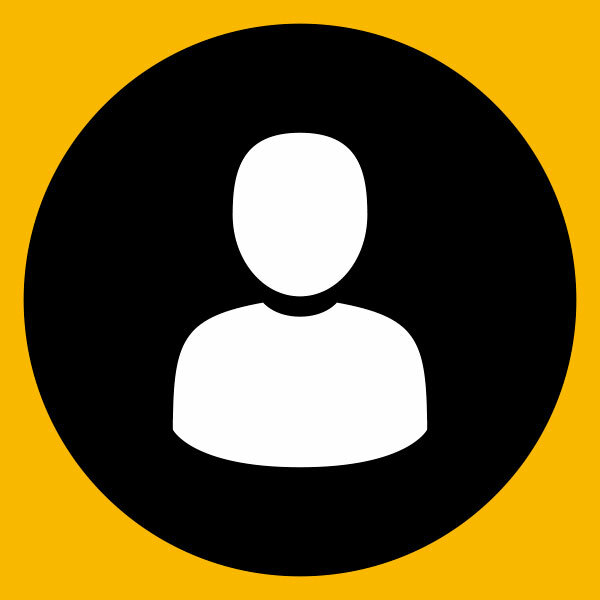 The list is long, exhaustive, and gloomier than Darth Vader's wardrobe. Arguably the only glimmer of light in this shadowy underworld literally emanates from the front lamp – which is now a powerful LED unit with neat daytime running light pattern – the luminescence from which is enough to brighten up even the darkest of days. Although not strikingly different in looks, the new Showa cartridge front forks are now 47mm in diameter, and replace the 41mm KYB units found on the standard Bobber, while the rear remains the same KYB monoshock with 77mm of travel. The skies eventually cleared and we geared up for what looked set to be a very cold, very damp ride toward the Ronda Road. But at least the line of bikes parked outside of the hotel looked fantastic – even when sodden. 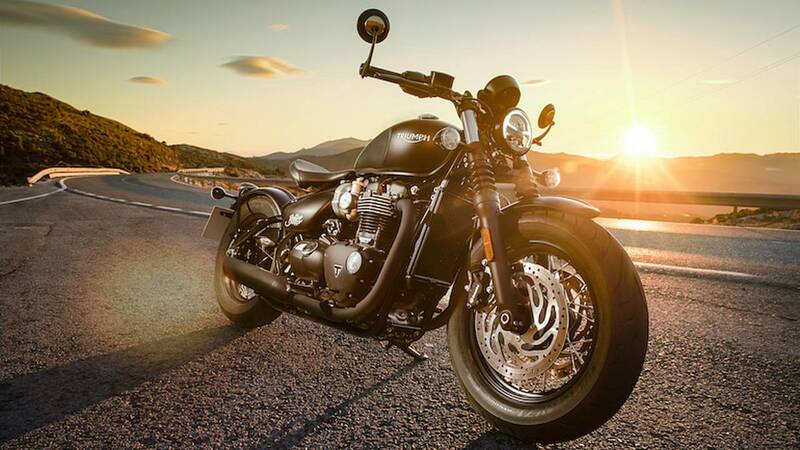 Despite Triumph offering hundreds of official parts and accessories, every vehicle on this launch was specified in standard form, bar the much welcome two-stage heated grip system. The standard Bobber, in my eyes at least, is one of the most accessible modern classic machines on the market, with a 690mm seat height and relatively low curb weight of 228 kg (503 lbs) – making it easy to throw a leg over for pretty much anyone with a motorcycle license. 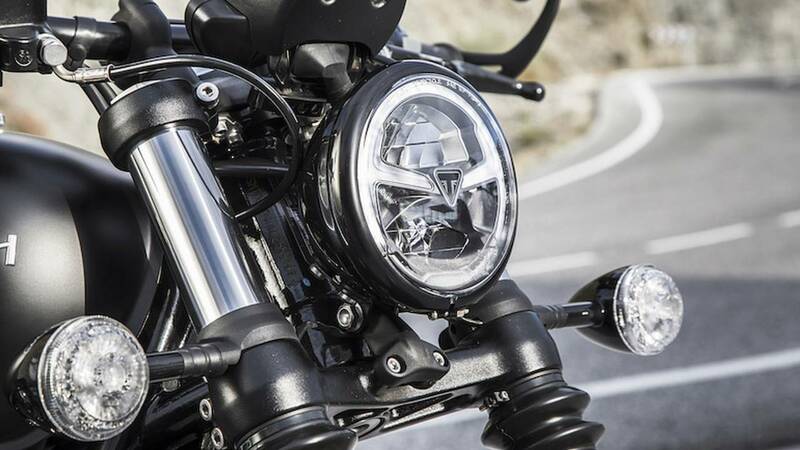 RideApart's director, Chris Cope, adored it for many of the aforementioned reasons and he'll be pleased to know the same High Torque 1200cc HT120 engine is used in the Bobber Black, as is the lightweight torque assist clutch that does a great job of flattering riders of all abilities. In fact, reaching down to twist the small key in the engine-mounted ignition barrel feels like being reunited with an old friend, and despite the notoriously slippery Spanish roads still glistening from the morning's deluge the Bonneville Bobber Black pulled away with little complaint, even when the switchable traction control system was left in its regular "Road" setting. The motorway hack toward the start of the Ronda Road felt comfortable enough, with that peachy HT120 engine offering bags of torque for swift overtaking maneuvers. The Bobber Black's stock seat doesn't look quite as cool as the thin leather accessory "Statement Seat" that came fitted to the previous standard Bobber I borrowed for a week earlier this year, but it is ten times more comfortable. Twist the throttle in almost any gear and the HT120 engine delivers a glut of power and near-instantaneous dollop of shove. As with the standard Bobber, peak torque is delivered at just 4000 rpm and peak power at 6100 rpm, meaning it doesn't require too much gear juggling to keep it in an appropriate powerband. Thankfully, the additional weight of the new front fork and tire set-up doesn't seem to have blunted performance at all. Whereas the new twin-disc Brembo braking set-up is definitely tangible. Although it doesn't feel overtly powerful it's still enough to get some serious stopping power with the lightest feathering of the lever. The short blast along the major roads between Malaga and Marbella proved the perfect test bed for the new single-button cruise control system, which couldn't be simpler. 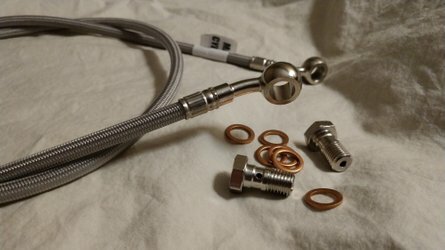 Molded into the left-hand switch cube, the button requires a single prod of the thumb to activate and stays at the current speed until the throttle is twisted, brakes dabbed, clutch lever pulled, or button pressed once more. 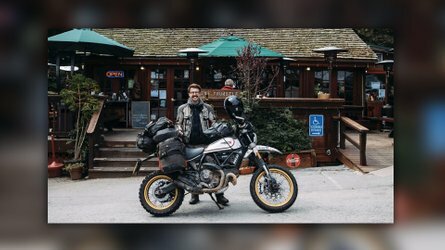 A lack of front screen and wide riding position mean things get a bit blowy at speeds of 70mph+ but the cruise functionality could certainly prove a handy companion in those countries where the speed limits are a little lower on the big, open roads (I'm looking to you, American cousins). Still, there have been no changes to the 9-litre (2.4 US gal) tank, so any dreams of crossing continents with the cruise control in full swing will be plagued by regular fuel stops. 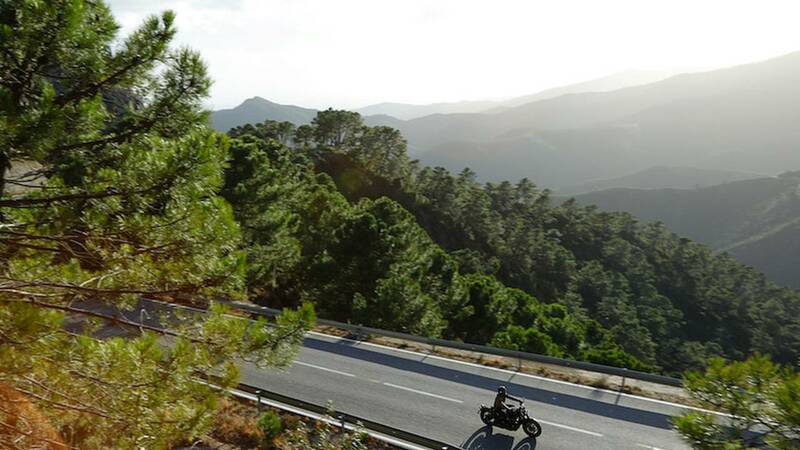 Cruising is one thing but in truth, we all made the journey to southern Spain to test out the Black's handling chops and the Ronda Road is a great location, packed with ribboning tarmac that works its way along and up mountainsides. 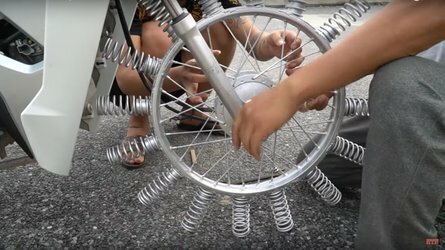 The larger forks and balloon-like front tire would typically make a motorcycle of this nature less eager to turn in (that's certainly been the case on custom bobber creations I've ridden) but there's very little difference here. 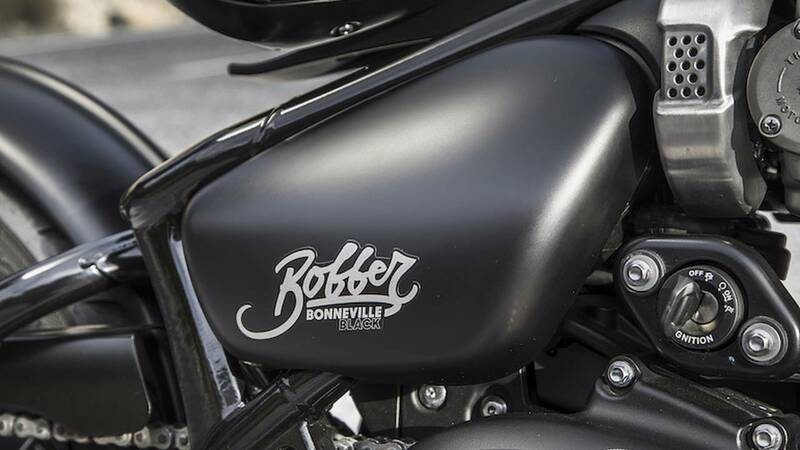 Arguably the standard Bonneville Bobber feels slightly more pointy and sharper but the forks on both bikes have an identical rake angle, and it doesn't take much to get this Black variant over on that big front tire when leaning into a corner. 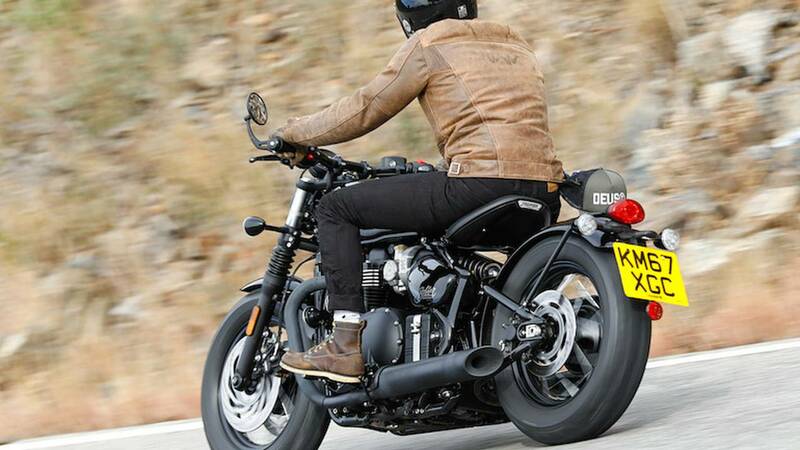 As previously mentioned, the Black does carry a slight weight disadvantage (9.5 kg or 21 lbs more than the standard Bonneville Bobber) but again, it's barely noticeable out on the open road. Instead, the machine happily tucks into the bends and drags itself out of the other side thanks to the 106Nm (78.2 ft lbs) of torque on tap, which is delivered smoothly and inspires bags of confidence, even in the freezing conditions of "always warm" southern Spain. I was dramatically ill prepared and underdressed for the weather and the more I enjoyed pushing the Bobber Black through the twisties, the more my eyes streamed behind my sunglasses (goggles would have been sensible), the more my face complained (a thermal snood would have been a good idea) and the more my feet cried out for warmth (sports socks were not a good idea). 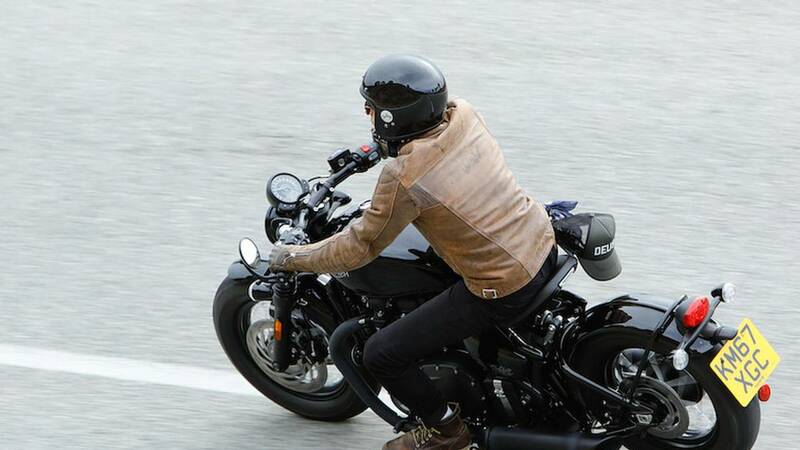 On the upside, the heated grips kept my hands extremely warm and cruising the curves on the Bobber Black proved way too much fun to throw in the towel – it's easy to forget just how enjoyable this bike is to ride considering its looks. 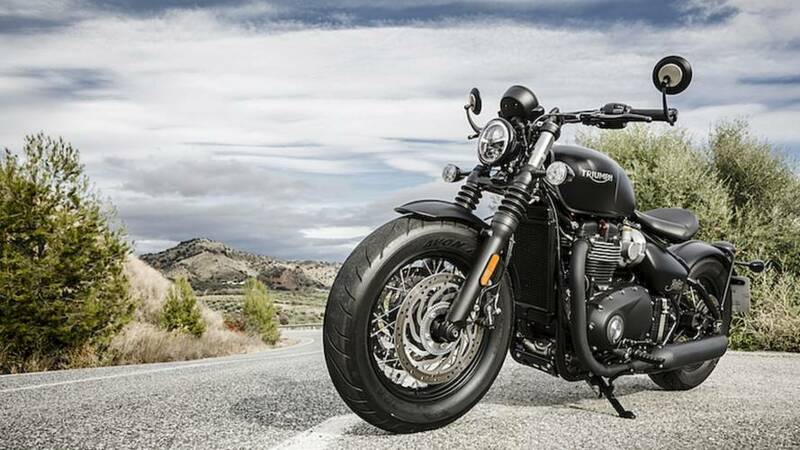 There's very little separating the Triumph Bonneville Bobber and its moodier Black brethren in terms of specification, yet the fat front tire, dark hue and more aggressive front end manage to make the Bobber appear more menacing and, in my eyes, even more appealing. Unfortunately, those on the hunt for a little more color won't be able to choose the revised front end for a standard Bobber, with Triumph claiming it's currently too much of a hassle. 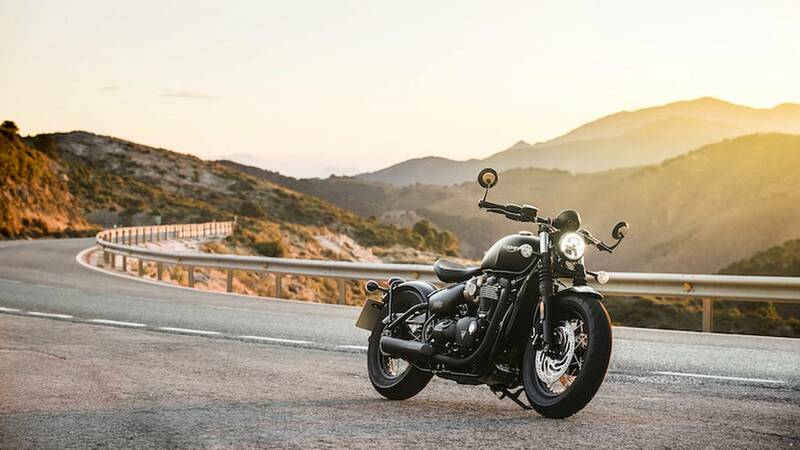 And that neatly brings me on to price, as the Bobber Black will cost £11,650 (£11,775 for Matt Black variants) in the United Kingdom and $13,150 (or $13,400 for the Matt Black model) in the United States. That's an increase of £1,050 over than the standard Bobber in the UK and an increase of $1,250 if you live the other side of The Pond. Not a bad deal considering the additional niceties thrown into the package. 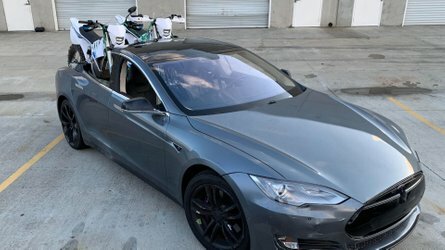 Without hopping aboard the standard variant and then immediately jumping on the Black, it's very difficult to say whether that fat front tire has much of an impact on handling, which is probably proof enough that it is negligible. What I do know is the new tubby front rubber looks great, the new dazzling LED headlamp is a neat touch and the murdered-out black paint job makes this arguably the meanest non-custom Bobber on sale. And that can only be a good thing, right?